Stylish coffee in the modern kitchen, office or on the terrace? 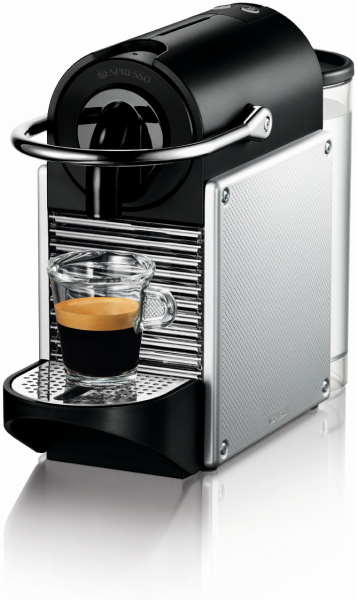 All this and more is possible with De'Longhi Nespresso Pixie. Although seeming very small at first glance, it certainly has nothing to be ashamed of. Not only will you appreciate its smart design, but it is also fast, powerful, efficient and affordable. The pressure pump, operating at 19 bars, rivals much larger coffeemakers. 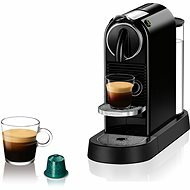 It preheats in 25 seconds, which makes it the fastest Nespresso device. For each mixture, our experts seek the appropriate roasting profile to fully develop the flavor and aroma of the beans. 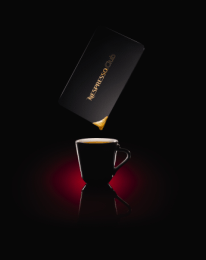 Nespresso uses the process of "split roasting", in which coffee beans are roasted with regard to their origin so that they develop their full potential. Drip system, Automatic Shutdown Done! 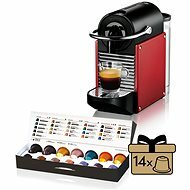 For shipping to other EU countries visit this page NESPRESSO De'Longhi Pixie EN125.S. Für Versand nach Deutschland, besuchen Sie bitte NESPRESSO De'Longhi Pixie EN125.S. Chcete doručit zboží do Česka? 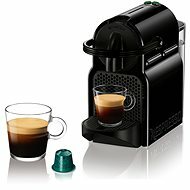 Prohlédněte si NESPRESSO De'Longhi Pixie EN125.S. Chcete doručiť tovar na Slovensko? 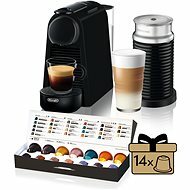 Prezrite si NESPRESSO De'Longhi Pixie EN125.S. 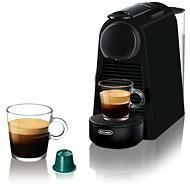 Magyarországra történő kiszállításért tekintse meg ezt a termékoldalt: NESPRESSO De'Longhi Pixie EN125.S.